Our first article in the local French press .........! - nepalproject1s Webseite! Our first article in the local French press .........! 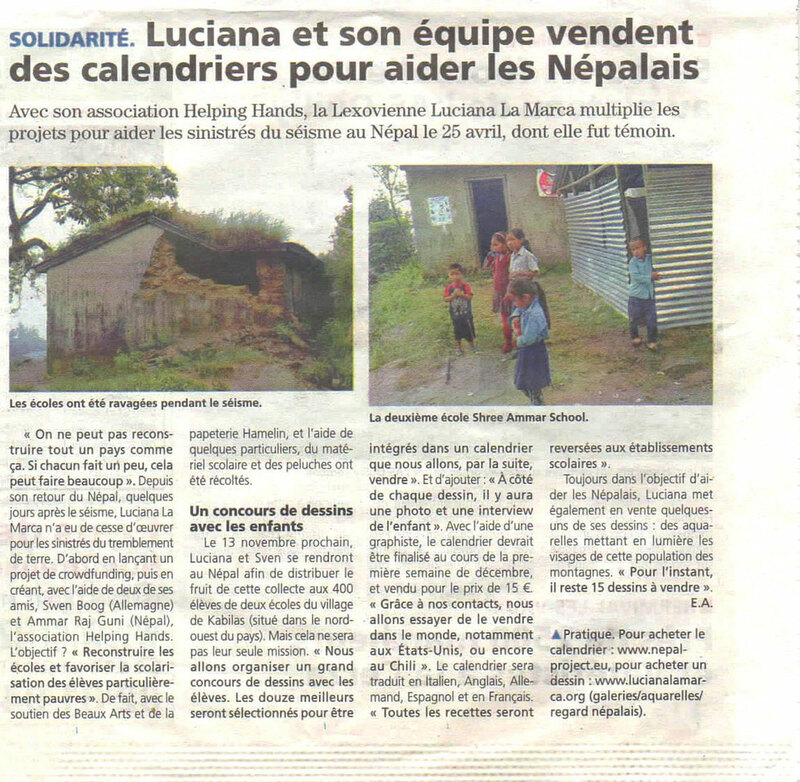 The French newspaper Pays d'auge was aware of our calendar project for Nepal. This article will help us to get a better attention to new supporters and volunteer helpers. We would like to thank Pays d'auge and the journalist Mrs. Eloise Aube for this great support!